If possible, it’s a good idea to look for any roof damage that may have occurred since the last major storm. This is an essential fall maintenance check to prevent leaks from ruining expensive equipment. Clean heater vents and replace cartridges to avoid poor air quality. The heating system has sat unused, collecting dust for months. No one likes that old heater smell. Check that handrails by any indoor or outdoor steps are sturdy. Since they will be relied on more heavily during the rainy season, make sure they can handle the extra stress. As the weather gets damp, don’t risk ruining expensive outdoor furniture. Invest in weatherproof covers or take it indoors. Keep your outdoor setup damage free, so you can enjoy it for years to come. Replace batteries for smoke and carbon monoxide detectors. Ensuring that detectors are responsive and working properly is important all year around but especially for the colder months. Cranking up the heat with closed windows can create a dry, unventilated environment. Communicate with your office about healthy habits and restock necessary items like tissues, soap and cleaning products. Schedule a customized commercial cleaning routine to keep employees productive and healthy. Deep clean floors and carpets for a fresh start this fall. Shiny hardwood or unstained carpets can make all the difference in your office cleaning routine. Scrub down hard to reach areas and remove stains from tile grout. Concentrate on handles and doors to promote a clean office environment. Keyboards and breakrooms often contain the most germs in the office. It’s a good idea to have disinfecting wipes available in these areas. Focus on places like refrigerator handles, sinks and water stations. Replace over used items and reorganize areas like the lobby, hallways and meeting rooms. Make sure clear walkways are accessible to limit the spread of tracked in mud. 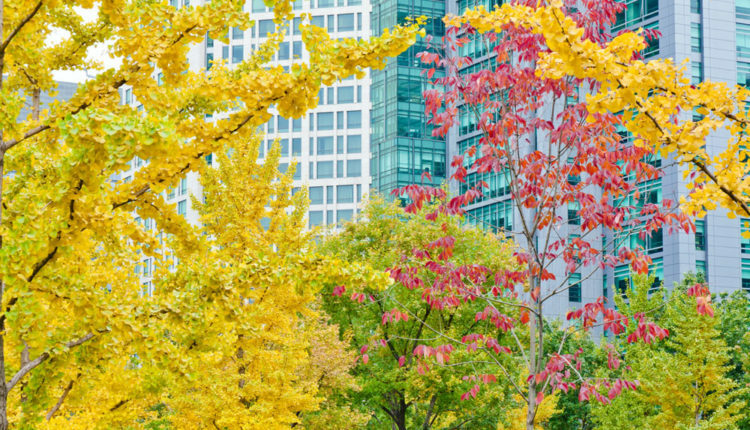 We hope these tips help your office seamlessly transition into fall. If you’re too busy to manage on-site cleaning staff this year, consider the benefits of hiring a professional janitorial team. ServiceMaster Twin Cities in Little Rock, Arkansas provides customized, reliable service. You can count on us to work around your schedule and get to know your company’s unique needs. We can help with waste removal, window washing, office system cleaning and more. Contact us to get a free quote.